What are protest leaders demanding? 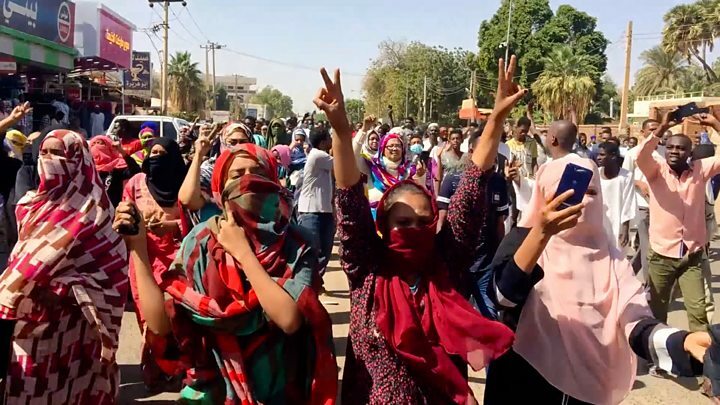 Amjad Farid, of the Sudanese Professionals’ Association (SPA) which has spearheaded protests, told the BBC that they “completely rejected” the military council currently leading Sudan. Protests began in December over a steep rise in the cost of living but soon developed into a wider call for the removal of Mr Bashir and his government. The military council has said it will not extradite him to face accusations in the International Criminal Court, although he could well be put on trial in Sudan.